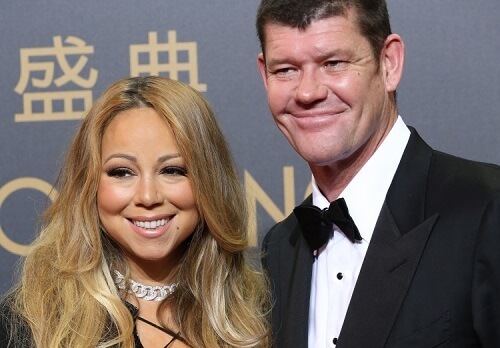 Legendary singer, Mariah Carey, is moving on with her life and is removing all memory of her failed relationship with billionaire magnate James Packer. Carey is reported to have parted ways with her AU$13.2 million diamond engagement ring she received from Packer after dating for just under two years. The 48-year-old vocalists’ split with Australian casino tycoon was highly publicised, with terms of their separation being a financial settlement that included the 35-carat gem. The diamond ring was secretly sold by Carey’s manager for a reported AU$2.7million to a Los Angeles jeweller. The relationship between the American songstress and James Packer began in June of 2015 following introductions by film director Brett Ratner. It didn’t take long for the two lovebirds to make things official, with a glitzy engagement party just six months later. The former Crown Casino director proposed in January 2016, however, they both called it quits in October same year. The very public separation has been reported to have taken its toll on both parties, with Carey and Packer both battling mental health issues. After the sale of the engagement ring, Mariah Carey has been rumoured to be facing financial woes of late. An insider from her camp was quick to dispel the gossip, revealing that she has had multiple successful residencies and tours. Despite the swift rebuttal from Mariah’s people, the Without You singer has had a torrid time in the spotlight. There’s been documented public fights culminating in a cancelled reality show on E!. Although she bagged a couple of millions for the diamond ring, it is certainly a massive cut from the initial price of the engagement ring. Mariah Carey is known for her luxurious taste, and her lifestyle maintenance will need much more million than the money she recouped from selling the ring. For more Australian gambling news, visit Pokies.com.